Isadora brings together two such talented women – Isadora Duncan, the legendary turn-of-the-century dancer whose grace and personality deserved to be remembered more than her bizarre death, and Amelia Gray, author of 2015’s incredible short story collection Gutshot, as well as the novel Threats, and the collections Museum of the Weird and AM/PM. Gray is known for the manic and dark quality of her work, which often touches on the absurdity of social conventions – think Nikolai Gogol meets Charlotte Perkins Gilman. What Gray has been able to accomplish with Isadora is nothing short of a kind of astral projection. She has breathed life into Isadora Duncan, fueling her return with her own spellbinding energy. Aleister Crowley, the famed occultist who was bewitched with the real Isadora, would be taking furious notes. The year is 1913. It is the eve of the World War I, and a palpable undercurrent of anxiety is felt across the globe. The world is recovering from the suffocating shackles of the Victorian age, finally casting off the limitations of that century in favor of bold new thinking. It is a watershed moment for scientific progress, where automobiles and aero planes (thought impossible mere decades earlier) slowly populate the cities of the world. Industrial automation has revolutionized manufacturing and changes the relationship between labor and consumer. Artistic vision is given license to explore radical interpretations of the present, past and future, celebrating the classical but also embracing extreme departures from it for the first time. One of these artists is the famous dancer Isadora Duncan, an American woman who has taken Europe by storm with her innovative emphasis on natural movement. Going beyond the rigid traditions of ballet, she incorporates her unique philosophy of the execution and teaching of dance, heavily influenced by the rapid changes of the time. Public opinion of her is polarizing but she could care less – as far as she’s concerned, she lives not in sin, but in glamour; the basis of her exploits are not based on shame, but in freedom. Like many great artists, she lives as hard as she works, taking full advantage of the decadence of pre-war Europe with a series of drunken episodes, trysts, and debauched adventures through the landscape of the new century. 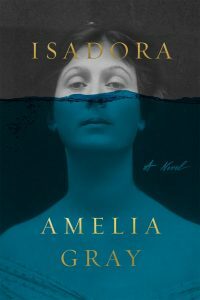 Even in this time of change, Isadora is a woman with a larger-than-life personality, one which can be barely handled by the stuffy upper-class of the continent. Her behavior is tolerated by her family for the simple fact that she is a genius, and her frequently sold-out shows certainly aren’t harming their bottom line. But even someone like Isadora is not sheltered from the evils of the world – and only a year before the seminal tragedy of the Great War, Isadora must endure a tragedy of her own. The car holding her young daughter and son has crashed into the Seine, killing them. It is in this moment that the novel begins, throwing the reader into the convoluted life of Isadora and her hangers-on, newly electrified by this jolt of heartbreak and pain. From the outset, the reader is saddled not just with the deep sadness of the children’s death, but the dry, absurd nature in which the deaths are addressed by those around her. Paris Singer, heir to the Singer sewing fortune and father of Isadora’s son, treats the affair much like another dreary social event to be planned, paid for, and endured. Her sister Elizabeth maintains her usual duties of picking up after Isadora, caging her feelings of grief with her deep resentment of her famous sibling. “Funerals on the other hand were always a strange comfort,” She muses to herself when contemplating momentous social events. “At least they delivered on the eternity they advertised.” Acquaintances and well-wishers begin to pour in, offering overblown sympathy and looking for handouts. Isadora can only cope by keeping herself in a haze, numbed to the awfulness of the situation and her very personal pain. She blames herself for their death and laments the guilt rending her apart: “The keening scream spread swiftly from my body to the walls and floor to make a residence of sound, echoed through my empty core, my ribs a spider’s web strung ragged around my spine, a sagging cradle for the mess of my broken heart.” Fearing the worst, Paris arranges to have Isadora convalesce in Corfu, attended to by Elizabeth and Max, her strange new lover who assists running Isadora’s dance school in Darmstadt. In Corfu, Isadora and Elizabeth meet up with their brother Gus, eccentric even as far as this family is concerned. Lacking the talent of Isadora or the organizational skills of Elizabeth, Gus is content to flit from one distraction to the next, claiming he will invent a new kind of sandal one week only to abandon it the next for an expedition to South America. Meanwhile, Isadora ruminates on the nature of life and death, allowing the full force of her sorrow to wash over her. “The world feeds us sugar and then crushes us in a single afternoon,” she says as she looks out to the sea, contemplating ending her own life by jumping from the cliffs as Sappho did. When she contracts an illness and is bed-ridden, the reality of death is still fresh in her mind, shining an unattractive light on everything she’s done in her life. Over time Isadora recovers, but the slow process only proves to Max that she should be less involved in the affairs of the school. A little man, both physically and psychologically, Max cannot bear the idea of following Isadora’s rules for the school and uses his relationship to Elizabeth to undermine her. His philosophy is only the regurgitation of the cutting-edge quack physical ideals of the time and his own mediocre thinking, fueled by a bizarre memorization of the work of Benjamin Franklin. However, the larger story here is not about him, but the fact that Elizabeth allows him into their lives and affairs, perhaps out of desperation and a deeply seated self-hatred. “If anyone could make herself sick by willing it, it was Isadora,” Elizabeth quips during Isadora’s convalescence. “She carried such a sullen power over her body, the despotic ruler of a nation constantly on the brink of civil war.” The reader could only imagine that Elizabeth would have reason to damn her sister if she knew the truth – that Isadora had smuggled away the ashes of the children from Paris in a small box, and now incorporates them into her daily meals. Gray weaves this detail into the text with the kind of macabre humor she is so well-known for, adding levity to such a grim subject: “It has come to be that I can eat only when the flavor is attended to by the subtle ash of the children in my mouth.” On the other hand, maybe it would just be another of those things Elizabeth shrugs off, accustomed to the peculiar ways of her sister. Perhaps she would even defend Isadora, understanding that the impulse came not from madness, but a serene embrace of her own personal brand of sanity. As the book progresses, this is a concept the reader will become intimately familiar with while navigating the life of this extraordinary woman. Perhaps it is the death of her children, but the reader watches as Isadora shifts into a worldview much more cognizant of the fragility of life. There are several references to Nietzsche and the embrace of a nihilistic philosophy, but Isadora seems far too practical to embrace it. Instead, in her typical fashion, she creates her own kind of philosophy, one that embraces the void rather than pointing to it to place blame. “Born in this century to die in the same, these are the girls who will dance at my funeral,” She says of the girls from her school in Darmstadt, soon relocated to Paris. “These little ones will carry my message to every part of the world.” The further into the text you go, the more metaphysical it becomes, as if Isadora can sense her story being retold. Although written with the kind of pomp and circumstance ascribed to the era, portentous events are foretold in uncanny Lynchian detail, about everything from the coming global conflict to her own grisly death from her scarf catching in tire of a car. But the Isadora we meet in the book is years away from that. At this time, she is only just recognizing the shadows on the wall and facing the realization of the catastrophic, but inevitable, future they hold. 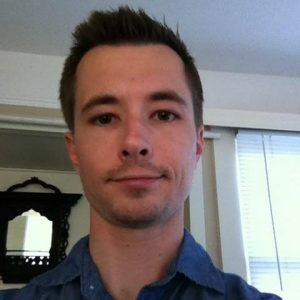 MATT E. LEWIS is the co-editor of the horror anthology series “States of Terror” from Ayahuasca Publishing. His reviews and short fiction have also appeared on Entropy, HorrorTalk.com, Corium Magazine, Black Candies, Connotation Press, Electric Literature, and the Los Angeles Review of Books.